There has been a lack of clarity in recent weeks about the criminal provisions governing illegal entry into the United States. For example, Fox News reported last week that Sen. Mazie Hirono (D-Hawaii) was "confused" by U.S. Immigration and Customs Enforcement (ICE) Executive Associate Director for Enforcement and Removal Operations (ERO) Matthew Albence's statements concerning aliens who have been detained because they have "broken a law". The law in question is section 275(a) of the Immigration and Nationality Act (INA), which renders initial illegal entry a misdemeanor, and a subsequent offense a felony. But another provision of the INA (section 266(a)), which would apply criminal penalties to aliens present in the United States after an illegal entry who have failed to register under the INA, has not received the same attention, either by the public or, apparently, by ICE. By way of background, section 262 of the INA applies a duty on "every alien now or hereafter in the United States" age 14 or older who "has not been registered and fingerprinted" under specified provisions of the law and who remains in the United States for 30 days or more "to apply for registration and to be fingerprinted before the expiration of such 30 days." The first exception to that rule are aliens who have been "registered and fingerprinted under section 221(b)" of the INA. That section of the law applies to registrations by aliens who have applied for a visa from a consular officer abroad. The Alien Registration Program was a World War II-era national security measure ordered by the original Alien Registration Act of 1940. That 1940 Act directed INS to fingerprint and register every alien age 14 and older living or arriving in the United States. (This ambitious project was separate from "enemy alien registration;" the Alien Registration Program sought to make a registry all foreign nationals in the country, not just the citizens of enemy nations). For this purpose, INS introduced the Alien Registration Form AR-2, a form individually stamped with a unique personal identifier, the Alien Registration Number ("A-number"). The Alien Registration Program registered over 5.6 million aliens between August 1, 1940, and March 31, 1944, when the AR-2 records series closed. Alien Registration continued after April 1, 1944, but on different forms filed in a new series of individual records, Alien Files ("A-Files"). Section 31 of the Alien Registration Act of 1940 essentially tracks section 262(a) of the INA. Section 30 of that law barred the issuance of a visa to an alien to enter the United States "unless said alien has been registered and fingerprinted in duplicate." In fact, sections 262(a) and (b) of the INA (which imposes the registration requirement for aliens who are under the age of 14 on the parents and legal guardians of those minors) have been unchanged since the adoption of the INA in 1952. While no statistics on the number of aliens who have entered the United States illegally and evaded arrest but have complied with section 262(a) are available, it is likely that few, if any, such aliens who have not otherwise subsequently applied for an immigration benefit or relief have done so. Again, this provision is identical to its counterpart in the 1952 INA. Needless to say, our immigration enforcement regime has changed significantly since the passage of the INA in 1952, but that does not diminish the legality of these provisions. 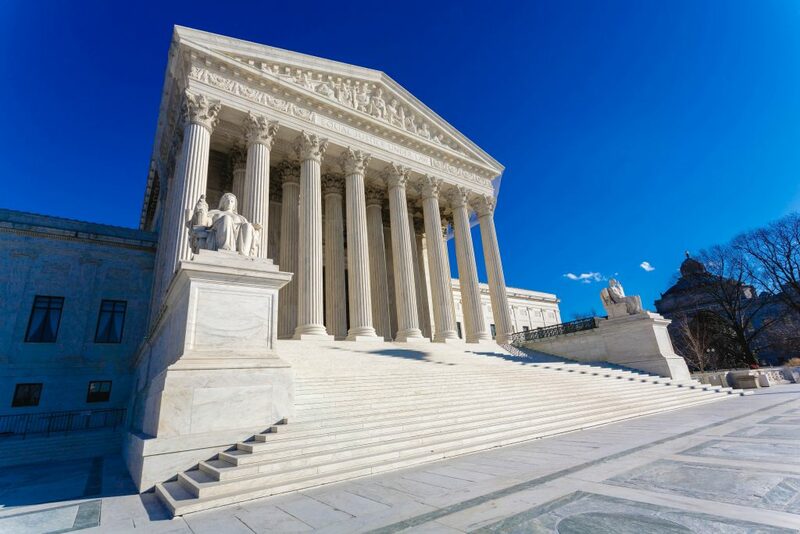 In fact, the Supreme Court has made reference to them in two significant immigration cases, INS v. Lopez-Mendoza and Arizona v. U.S.
Arizona v. U.S., a 2012 decision, involved the legality of certain provisions of S.B. 1070, a state law that, among other things, made a willful failure by an alien to complete or carry an alien registration document in violation of section 264(e) of the INA a state misdemeanor. In considering that issue, Justice Kennedy, writing for the Court and citing section 262(a) of the INA noted: "Aliens who remain in the country for more than 30 days must apply for registration and be fingerprinted." Lopez–Mendoza, which was decided in 1984, addressed the legality of the arrests of two aliens (Lopez-Mendoza and Sandoval-Sanchez) during warrantless enforcement actions at two separate employers. The Court concluded that, generally, the Fourth Amendment exclusionary rule does not apply in a deportation proceeding. Significantly, Justice O'Connor, writing for the court, began her analysis by stating: "A deportation proceeding is a purely civil action to determine eligibility to remain in this country, not to punish an unlawful entry, though entering or remaining unlawfully in this country is itself a crime." As support for this proposition, Justice O'Connor cited sections 262, 266, and 275 of the INA. Sandoval-Sanchez is a person whose unregistered presence in this country, without more, constitutes a crime. His release within our borders would immediately subject him to criminal penalties. His release would clearly frustrate the express public policy against an alien's unregistered presence in this country. Even the objective of deterring Fourth Amendment violations should not require such a result. The constable's blunder may allow the criminal to go free, but we have never suggested that it allows the criminal to continue in the commission of an ongoing crime. [P]rovides that only willful failure to register is a misdemeanor. Therefore, "unregistered presence in this country, without more," ... does not constitute a crime; rather, unregistered presence plus willfulness must be shown. There is no finding that Sandoval-Sanchez willfully failed to register, which is a necessary predicate to the conclusion that he is engaged in a continuing crime. There are several reasons to discount this finding. First, Justice White failed to reference any case brought under section 266 of the INA wherein a conviction was not secured against an alien under the scenario he described. Second, no reasonable argument can be made that aliens who enter the United States illegally are unaware of the fact that they could have sought legal entry if they had obtained the necessary visa. This is important, because the visa-issuance process includes registration under section 221(b) of the INA. Bypassing this process demonstrates that those aliens are aware of the fact that there is an application and registration requirement, logically imposing a duty on them to determine whether registration would be required following illegal entry into the United States. Third, the majority of the court concluded that failure to register "without more" was sufficient to satisfy the criminal standard in section 266(a) of the INA, a position that even the Obama administration's Justice Department apparently conceded. In April 2013, Jon Feere, former CIS legal policy analyst, noted that the U.S. Attorney's Manual stated: "If the alien is undocumented and has been in the United States for longer than 30 days, he or she has also violated" section 266(a) of the INA. That language remains in the manual. To eliminate any issues, however, ICE could publish a public notice informing all aliens who have entered illegally that they have 30 days to register under section 262 of the INA. After that 30-day period, any alien apprehended in the United States who has been in this country for more than 30 days and has failed to register in accordance with section 262(a) of the INA could be prosecuted under section 266(a) of the INA. The president has vowed to use all tools available to him to enforce the immigration laws. Sections 262 and 266 of the INA, which impose criminal penalties upon aliens who have failed to register and be fingerprinted in the United States, provide a powerful incentive for those here illegally to either depart the United States or identify themselves to ICE. The agency should use them.